Lawrence Markey is pleased to present the exhibition recent watercolors by John Zurier, on view February 26 through April 1, 2016. There will be an opening reception with the artist on Friday, February 26 from 5-7 p.m. This is John Zurier’s second solo exhibition at Lawrence Markey Gallery. The landscape of northern Iceland has had substantial influence on John Zurier’s work over the years. Zurier’s abstractions in watercolor are preoccupied with space, light, color, atmosphere and mood; qualities that capture the experience of being in a landscape. Muted washes alternate with dense pigment or visible brush strokes creating shifting perceptions of space. Color ranges from bright and vibrant to subdued and understated, informing a distinct emotional tone. John Zurier noted in an interview, “In Iceland, there’s very little contrast in the lights, and some of the things are so subtle. For example, the ocean at twilight will often be lighter than the sky, and there are these subtle color contrasts that happen that are almost at the threshold of visibility...How can you paint something like this?”*. The titles of Zurier’s works (such as Héraðsdalur(Hair-us-dah-lur),a horse farm in Iceland where Zurier also had a studio) link the viewing experience with time, place and memory, adding yet another layer of entry into this elegant body of work. John Zurier was born in Santa Monica, California in 1956. He lives and works in Berkeley, CA. 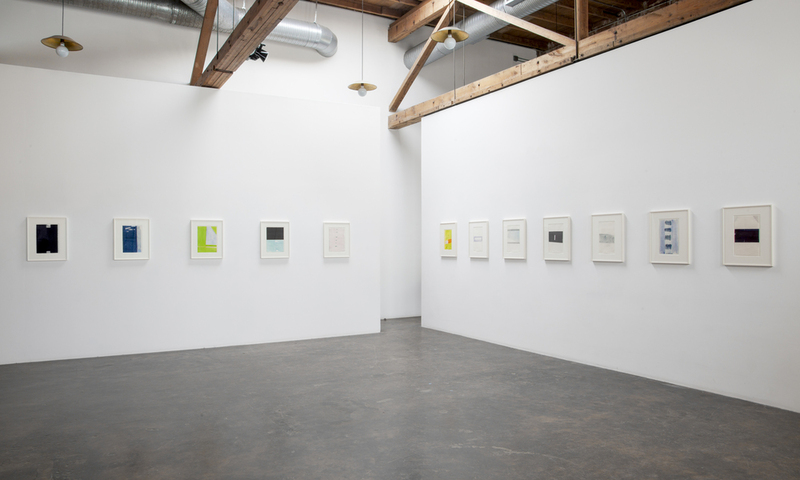 Zurier has exhibited extensilvely, including: the 30th São Paulo Biennial in São Paulo, Brazil in 2012, the California Biennial at the Orange County Museum of Art, Newport Beach, CA, 2010-2011, multiple showings at the UC Berkeley Art Museum, and the Whitney Biennial in 2002. His paintings are represented in collections which include the Berkeley Art Museum, Colby College Museum of Art, Waterville, ME, San Francisco Museum of Modern Art, and University of California, San Francisco Art Collection. Zurier was awarded the John Simon Guggenheim Fellowship in 2010.